What is a Nearly a Vet Convention? Join other ‘Nearly Vets’ as we practise our vetting skills and learn about the things real vets do. You’ll also get some tips on great story writing and character development. PLUS! All participants will receive a Nearly a Vet Kit to take home! 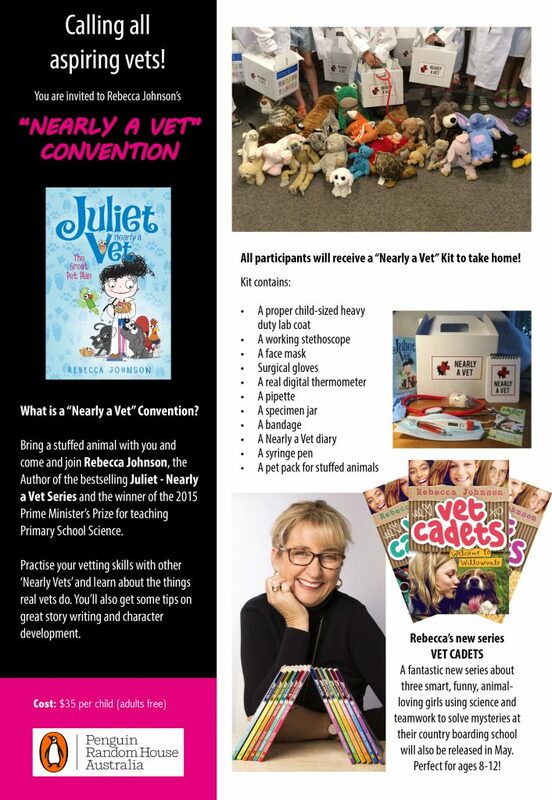 Can’t make it to a Nearly a Vet Convention? Purchase a kit from our online store or eBay. Please note: Kits are more expensive when not purchased as part of a vet convention as the conventions are sponsored and subsidised. Interested in hosting a Nearly a Vet Convention in 2018?